For lovers of Dune and Xanth, a mage family saga set among the stars. Thousands of years ago, mages on Earth were hated and feared. To avoid persecution, they built a starship and became among the first humans to colonize deep space. But the rest of humankind caught up with them, and their clan was forced to split up in order to survive. Now, each family lives in secrecy to avoid persecution and enslavement. Carina Lin is a mage with a mission. After growing up as an orphaned slum brat she enlisted as a merc, but all she wants is to escape the soldiering life and find other mages like her. Her searching has led her to the home planet of one of the most powerful clans in the galaxy. Here, she hopes to finally be reunited with her kin, but it isn’t going to be easy. If her powers are revealed, she risks capture and torture. To add to Carina’s danger, galactic war is brewing. The opposing forces are on the look out for veterans to draft into the fight. Carina must find her people and avoid being sucked back into space warfare. If she fails, she’ll lose her reason for living, and perhaps her life. Daughter of Discord is book one in the dark, exciting, space fantasy, Star Mage Saga. I loved the introductory novella, Star Mage Exile, which you can get at the author’s website. This book effectively carries on where that story finishes, but it is not necessary to have read Star Mage Exile first. I love the contrasts in this book, and its exploration of human nature. There is the mix of technology and magic; the people rich and poor, and the struggle to survive; then there’s the age old tale of good versus evil. However the evil here is not monsters or aliens, but the darkness people carry within. Is it evil, or just human nature to torture, humiliate and kill? 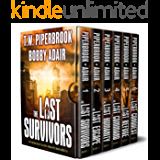 The central characters are really nicely developed and I thoroughly enjoyed this book. I received a free copy of this book in return for an honest review. One can become disillusioned with authors following the same old patterns in their respective Genres . Here we have a strong (female) character here who doesn't 'wilt' when things get tough etc etc, doesn't wring their hands in angst and then pull out some miracle whatever to zap the bad guy, but waiting her time to escape. Then to fall back into it, rinse and repeat. Editing is good, sentences even make sense what will they think of next. This author is setting their own pace, thank you JJ look forward to reading more of your thoughts. 5.0 out of 5 starsDon't miss it ! Following on seemlessly from the introductory novella this series promises to be the best yet from this author. There's enough intrigue and adventure to keep anyone happy whilst the characters are believable and well thought out. The situations they find themselves in are also relatable, even though they are set in space, in the far future. I can't wait to start on the next book in the series. I received a free copy direct from the author with the option to review or not. A fairly good book that took me a while to get into but once I did, I just had to find out if Carina and her family managed to escape from the ghastly Steffan and the rest of the Sherrars. Daughter of Discord continues the story of Carina which the author began in the prequel novella Star Mage:Exile. In Daughter of Discord, Carina is at loose ends - she's not sure what to do after leaving the merc band after she drops Darius Sherrar off to his family (see prequel novella, Star Mage: Exile). In addition, she wants to find out who the other Sherrar mage is after she was given a pouch of mage objects. However, doing that would bring her to the attentions of the Sherrar clan and the first rule of being a mage is not to trust non-mages, aside from the fact the Sherrar Clan pretty much rule the sector of space Carina resides in and are thugs to boot. The author has done a good job of incorporating the mage elements into a futuristic setting. The only negative I had was the story of her (Carina's) mother Faye sometimes overshadowed and was more interesting than Carina's current problems. Looking forward to the next book in the series :) Note: this book does contain themes of abuse and some readers may find this difficult to manage, particularly those who have suffered abuse themselves. After leaving life as a mercenary in order to find others like her, mage Carina Lin comes to the realization that she’s never going to find other mages and that she should move on. That’s when life takes a turn and she gets involved in the war between two rival clans, and finally finds what she’s been seeking. This was a pretty dark space adventure, with a truly evil villain that delighted in controlling by torture, threats, and anything else that allowed him to show his dominance over those weaker. Characters were put in hopeless situations where there seemed to be no way out and it became a bit depressing, but ultimately love and good won out and evil was defeated. The story ended on a cliffhanger, so now I have to find to what happened to Carina and those she was trying to rescue. Daughter of Discord by J.J. Green is the continuation of the story of Carina, that began in the prequel novella, Star Mage: Exile. The Author has used her creative imagination in this plot and storyline that mixes magic and space in a very futuristic setting. It is fast and quick with lots of action. The story includes lots of family dynamics and the trials, challenges and adventures they share as they travel through space. Main characters and the cast of supporting characters are complex, colourful, and unique. These interesting and believable characters, even the known and unknown enemies, are very different from each other. There is graphic and detailed descriptions that are realistic and believable, unpredictable surprises and many twists and turns. This dark space fantasy takes the reader on a journey that includes travels and battles in space. At times it is also dark and cruel, but always has something interesting to offer. The plot keeps the reader involved throughout. Recommended! Although I’m mainly a hard-SF fan, I do love me a good magic story as well. The Star Mage stories are wonderful. The SF aspects are downplayed, so as not to confuse or conflict with the main story. The magic is consistent and relatively straightforward (as I like it). But where the story SHINES is in the characters that JJ so successfully has created. You empathize and care for Carina and her siblings (well, most of them) .… and you viscerally *hate* Stefan. This is what all storytelling should do. And, the plot itself has plenty of twists and turns - usually I’m fairly good at foreseeing things a bit ahead - but this one kept me surprised repeatedly. And, finally, I was glued to it. I could not put it down- read it all in one sitting. On to Dark Mage Rises!! 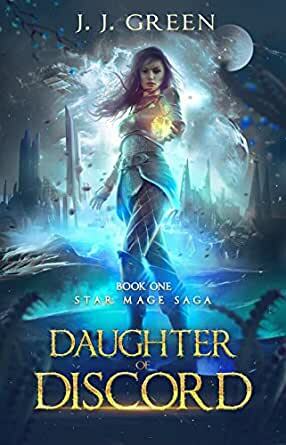 I love J.J. Green’s novels so it’s no surprise that I was delighted to get my hands on Daughter of Discord, the first book of her Star Mage Saga series. This book is, quite simply, extremely imaginative and superbly written. It is just the “dark, exciting space fantasy” promised, and had had just what I wanted including a great plot. I frankly adore Carina and love watching her take on all comers. The rest of the cast of characters is pretty amazing as well. But for the fact that I’m literally dictating this review to my husband from my hospital bed I could go on and on with praises - the book definitely deserves it. Since I can’t do that I will simply note that the book is most definitely one to read, it is easy to highly recommend. I’m definitely looking forward to book 2.